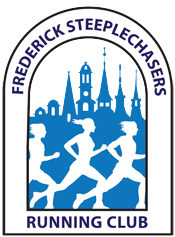 The 41st annual Chambersburg Half Marathon will take place on Saturday, March 9, 2019 at 8:30 a.m. at the Chambersburg Area Middle School South located at 1151 East McKinley Street, Chambersburg, PA 17201. The course wends its way about bucolic, pastoral settings dotted with beautiful rolling hills. Tremendous course support and hydration stations are provided. The course closes at 11:30 a.m. giving runners 3 hours to complete the course. Therefore a pace of 13:44 is advised to avoid being picked up by the sweep van. Showers are available at the school cafeteria after the race, as well as plenty of pizza and other sustenance and refreshments. Cash prizes of $300, $200, $100 will be offered to the 1st-3rd place finishers in the open section. Masters section prizes are $100, $75, and $50. A prize of $100 will be awarded to anyone breaking the current course record of 1:08:12 set by Steve Spence in 2001.